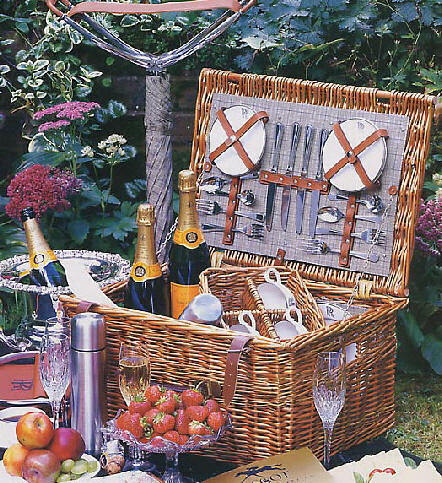 The picture immediately above and to the right is from Bonham’s catalogue, this hamper made $2,400.00 three years ago. Country Check waterproof panels. Fine heavy leather straps. 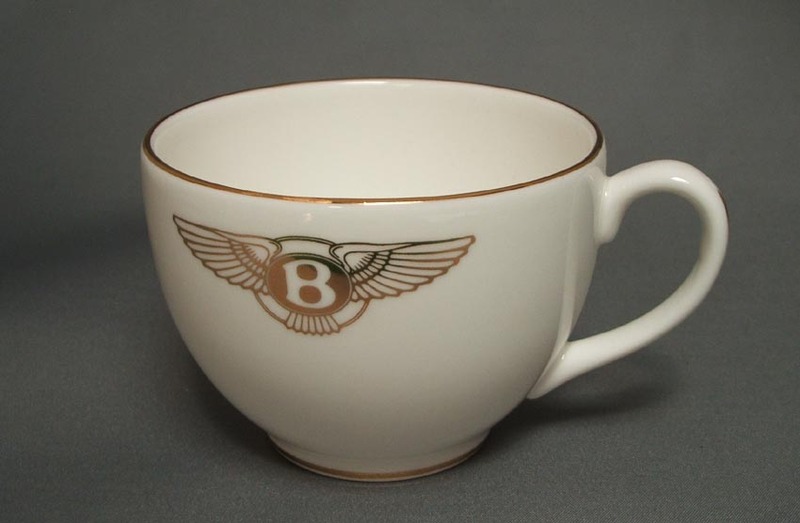 FOUR of each, English bone China plates, tea cups and saucers, all with the Bentley winged B platinum insignia. Set of four of each knives, forks and tea spoons. 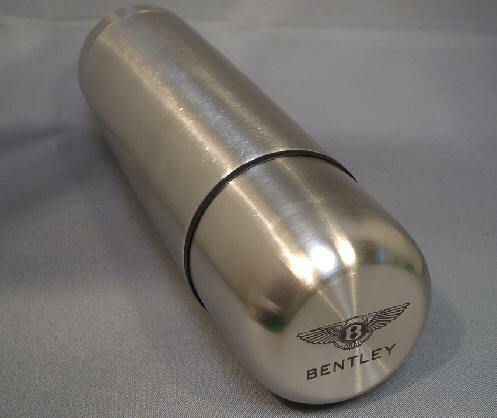 The knife handles bearing the Bentley Motors insignias. 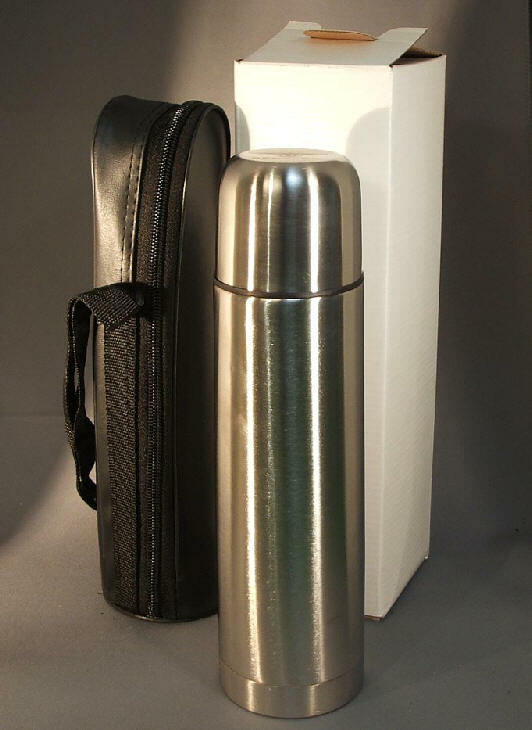 A stainless steel thermos flask with easypour top and with the Bentley insignia on the cap. 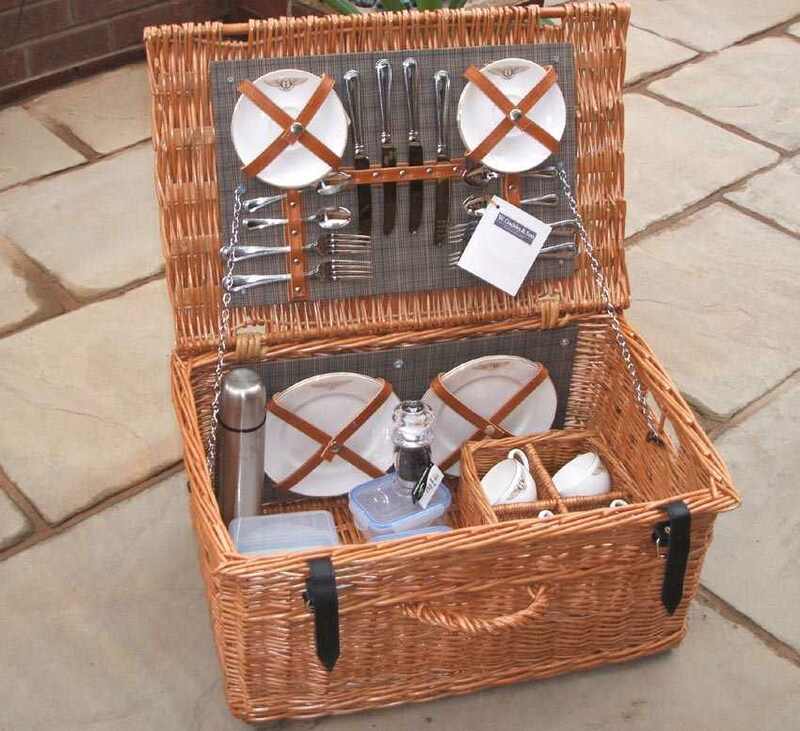 A wicker basket for the four tea cups, a combined salt and pepper dispenser, three dishwasher & microwave proof sandwich boxes. There are carrying recesses on the sides of the hamper. 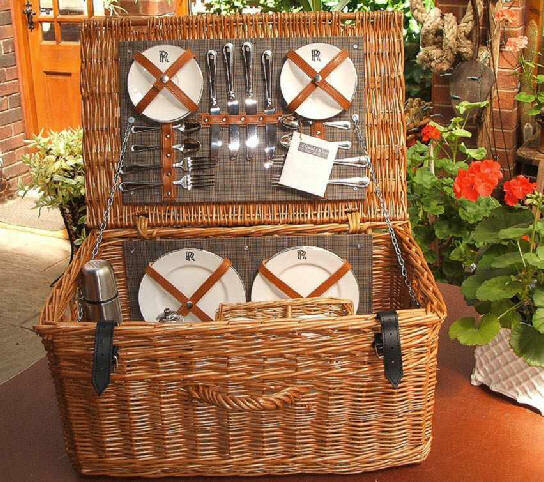 This English willow hamper is from Gadsbys, made in the South West of England. 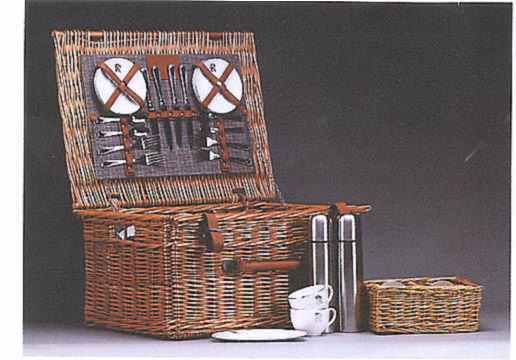 Hamper manufacturers for Bentley and Rolls-Royce Motors. The weight is 8.2 kilos / about 16 pounds. The lid is about 24 inches wide / 620 mm. 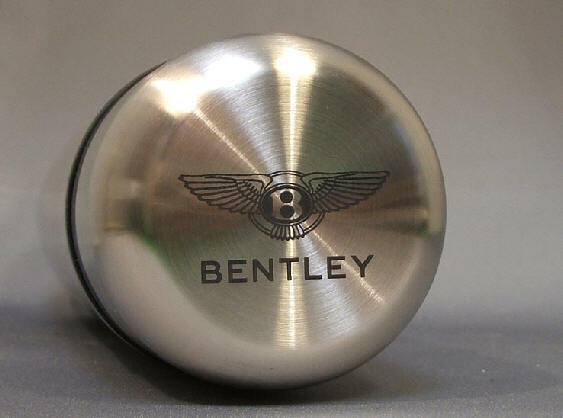 Thermos flasks are available but there are NO MORE Bentley hampers.